Regardless of whether your business is in a busy area or off the beaten path, it’s necessary for your sign to not only be seen but to be seen by the right customers. Make sure to keep the sign simple so people can understand what you are advertising as they are passing. Using your logo and message on the sign will also help to build your brand. Someone may not be in need of your services at that very moment, but they will be more likely to remember you if they can quickly conjure up their first impression of you – your sign! Having a well-built sign is key for a number of reasons, whether it be saving you money in the long run, or saving you from the headache of a ruined sign, it’s crucial that you choose a company that’s focused on quality craftsmanship. 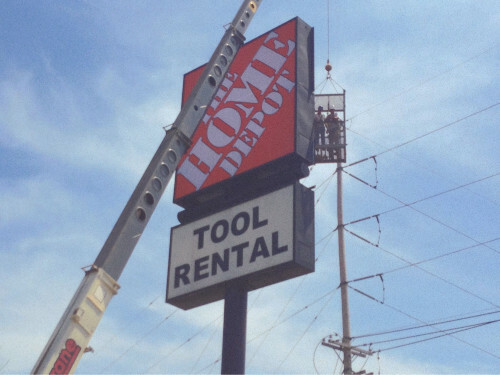 Do you know what it takes to get a quality signage installed? Proper sign installation is as important as the design and manufacturing process. Whether it be zoning, permits, planning, need for illustrations or electric & lighting questions, ABC Signs has you covered. Contact ABC Signs to get your business sign in the works!